IND has built up a solid reputation tuning Bimmers, and its latest creation, based on the M5, has been readied for SEMA 2012. The project is two months in the making. IND&apos;s bespoke kit is the first part of a comprehensive program that will eventually include power and cosmetic upgrades as well as aerodynamic parts. Thus far a prototype carbon-fiber roof and a carbon Kevlar trunk by Challenge Engineering have been fitted, shaving 72 pounds off the car&apos;s weight in vital areas to improve the car&apos;s weight balance. A ten-hour paint job included the application of Lamborghini Balloon White and exterior graphics penned by Jon Sibal. Fall Line designed and installed a bespoke "street friendly" roll bar, while the bodykit is from 3D Design, consisting of a front lip spoiler, rear diffuser and carbon-fiber trunk spoiler. The chassis has been upgraded with a KW ClubSport coilover suspension, brakes from CarboTech and BBS alloys. 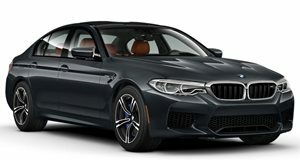 Inside, the custom M5 features carbon-Kevlar Recaro Profi SPA seats, Sabelt six-point harnesses and a fire extinguisher installed in a cabin re-upholstered in Alcantara. It also comes with aluminum performance pedals and a unique gauge pod machined by IND. Stage two of the development will include power upgrades by AMS Performance. In the meantime IND has sourced an Eisenmann exhaust system with quad 102mm tips.